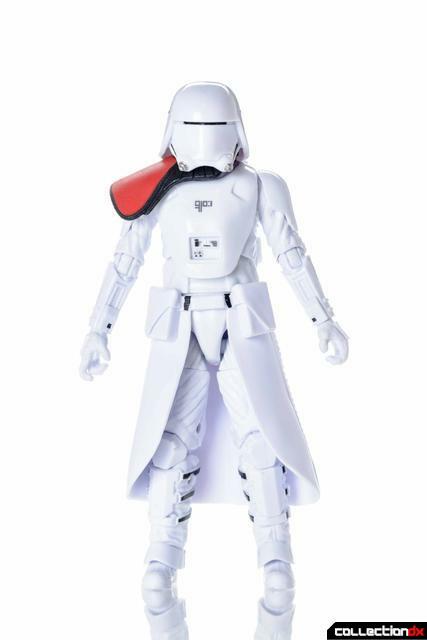 Exclusive to Toys”R”Us, the First Order Snowtrooper Officer is the first Snowtrooper to be released in the 6in Black Series. 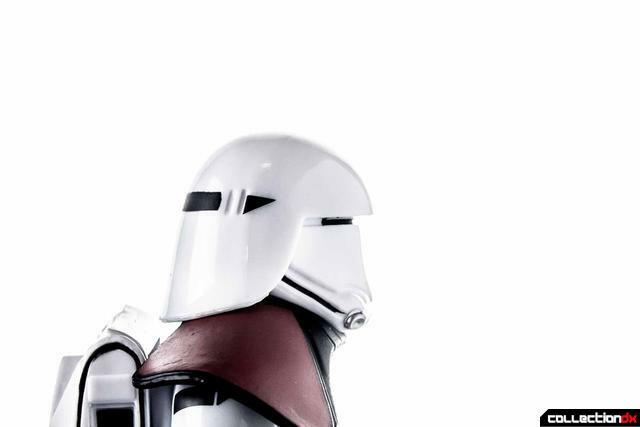 The updated armor is much sleeker than the original while keeping many of the original design elements. 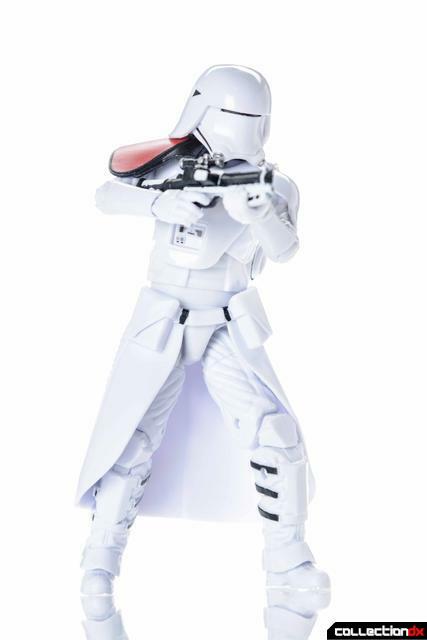 The helmet retains the classic Snowtrooper shape with a slit visor instead of the goggles and cowl styling while the trademark kama is still intact. 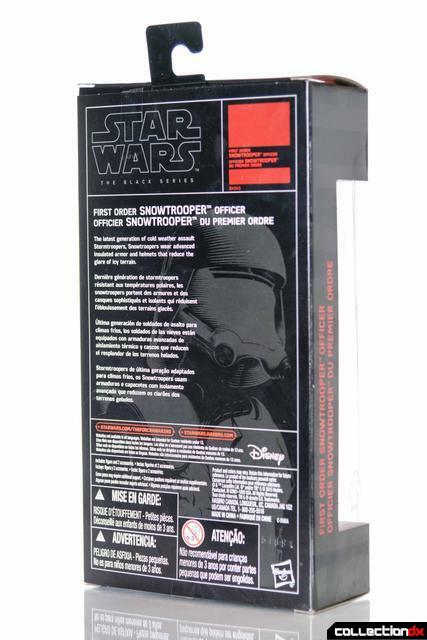 The box is still identical to all previous TFA Black Series figures except the lack of a number due to its exclusive nature. 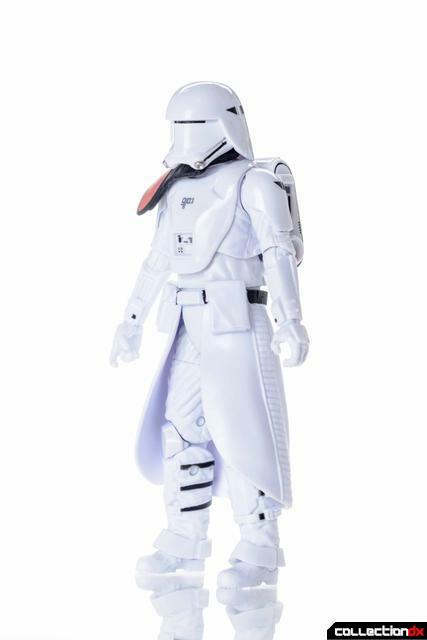 The updated Snowtrooper design keeps in line with the sleek new First Order armors and features a new shiny sheen to the chest plate and helmet. 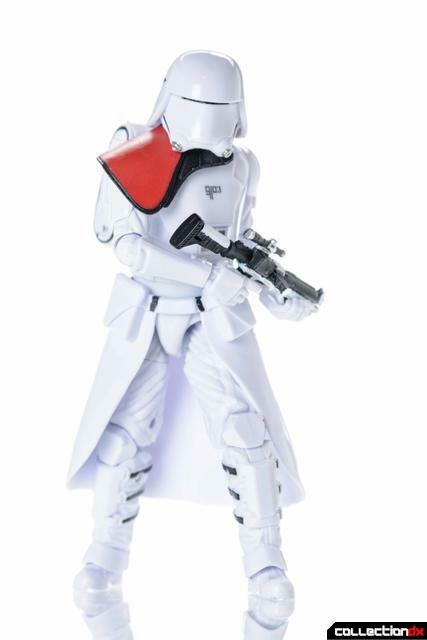 The red pauldron signifies officer status, which I had always assumed was meant for Sandtroopers only. The kama is made from soft plastic but is still way too stiff to allow the figure to kneel and restricts leg articulation significantly. It’s interesting that they did not go with a cloth kama considering the use of cloth pieces in previous figures. 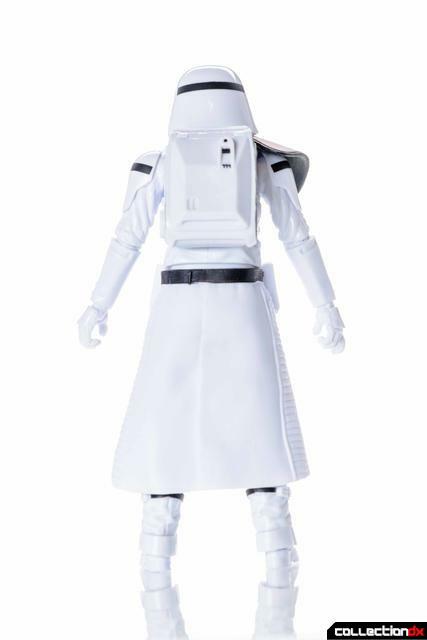 The backpack is removable and a little loose on my figure. It also tends to pop off when the waist is turned. 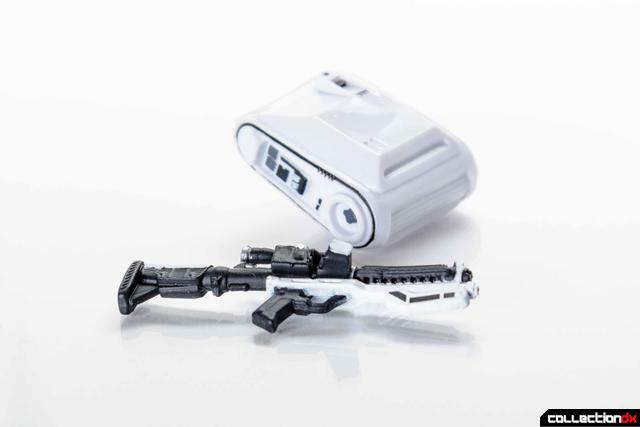 The blaster is identical to Captain Phasma’s, but could have benefitted from the Stormtroopers stockless Blaster. Articulation is pretty lacking, partially due to the pauldron and kama restricting it. The leg cuffs prevent the feet from barely moving while the kama prevents the legs from really doing much. 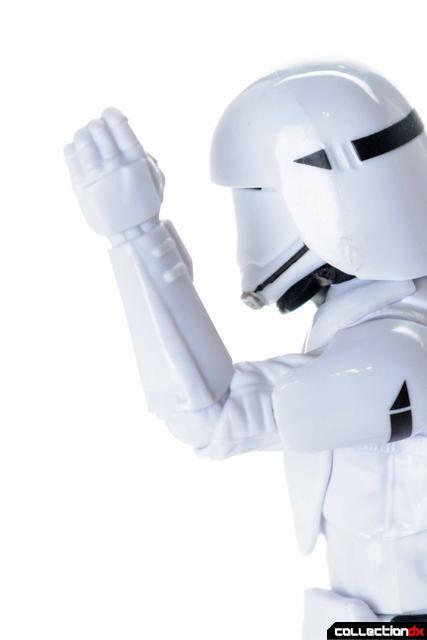 The elbows can bend less than 90 degrees but it can at least hold the blaster with both hands. 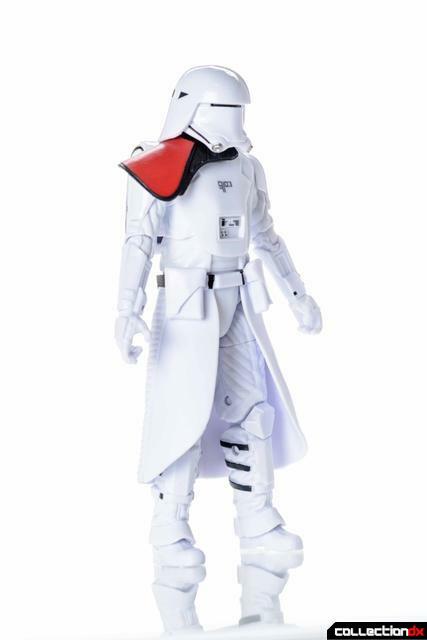 I like the First Order Snowtrooper Officer mainly due to the design though I’m not sure if it’s actually a good figure. 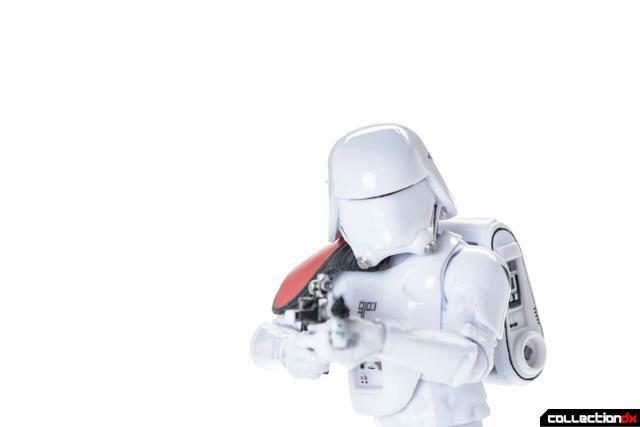 Articulation is pretty poor, even compared to Captain Phasma but it’s also the currently the only way to get a First Order Snowtrooper in the 6in line. 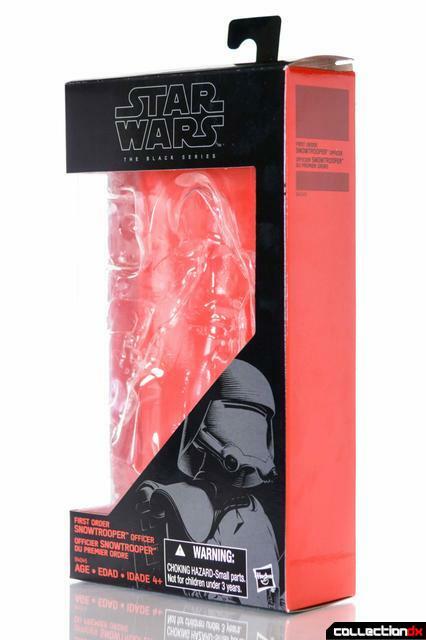 As a TRU exclusive, it’s a bit of a pain to find in stores it is currently in stock online. 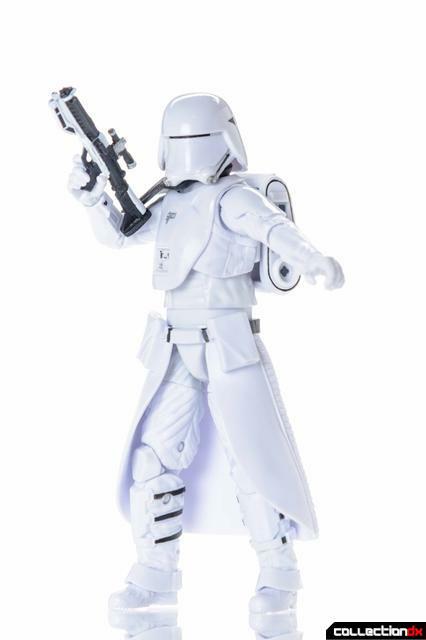 There has been no word on whether a regular First Order Snowtrooper will be released yet, so it’s also the only way to army build Snowtroopers as well. 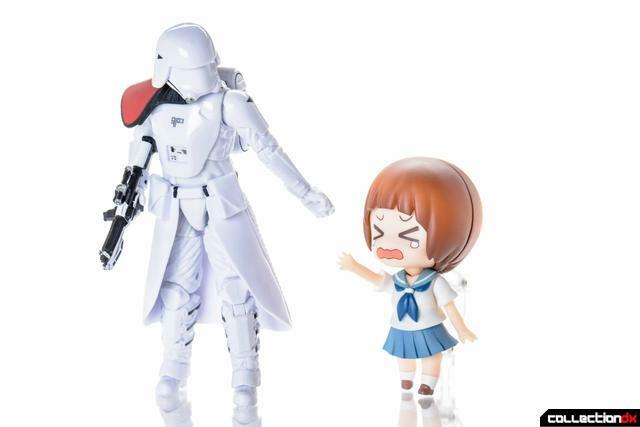 For those that are army building Stormtroopers however, the Snowtrooper Officer is a useful figure in acquiring pauldrons for anyone wanting regular Snowtroopers and Stormtrooper Officers. 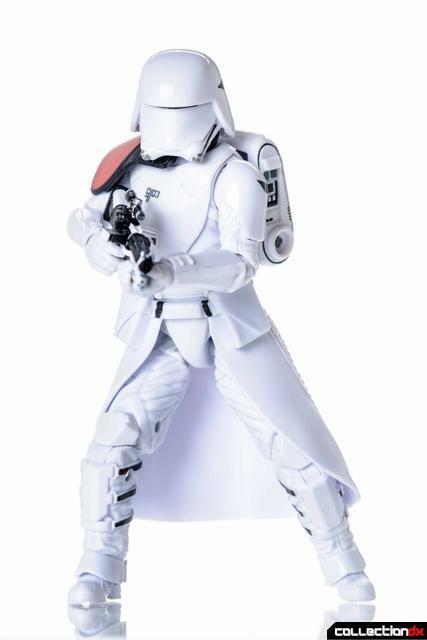 It’s definitely one of the better looking figures in the TFA Black Series lineup but I don't think it really lives up to what the series was meant to represent.